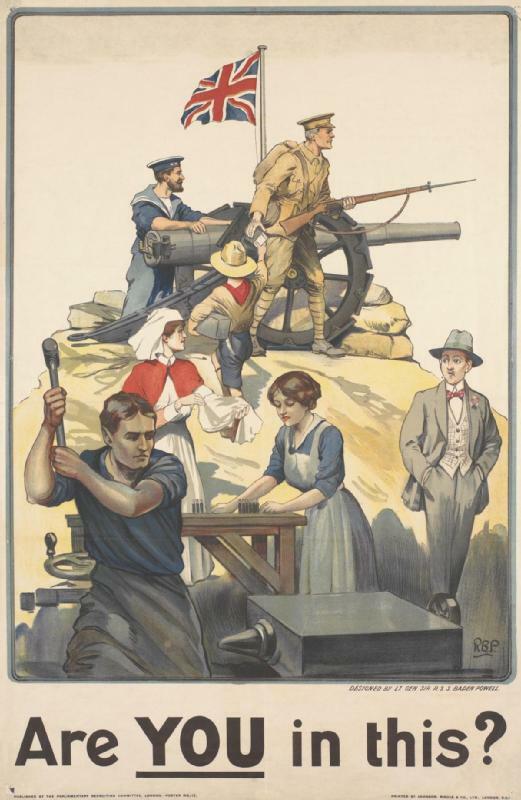 Ahead of next year’s centenary, Elizabeth Bruton and Graeme Gooday ask what were the different motivations of scientists, the military and industry in terms of World War One innovation and research – patriotism, profit, or both? But numerous historians have recently rethought these stereotypes. How was it that the war continued for four years, with 16 million dying while millions more of pounds and dollars were spent on armaments and the routine expense of war? Who was manufacturing such weaponry and ammunition, and who developed the infrastructure of scientific research that helped to win the ‘Great War’? More importantly, what were their motives: patriotic altruism, private profit – or an uneasy mixture of both? 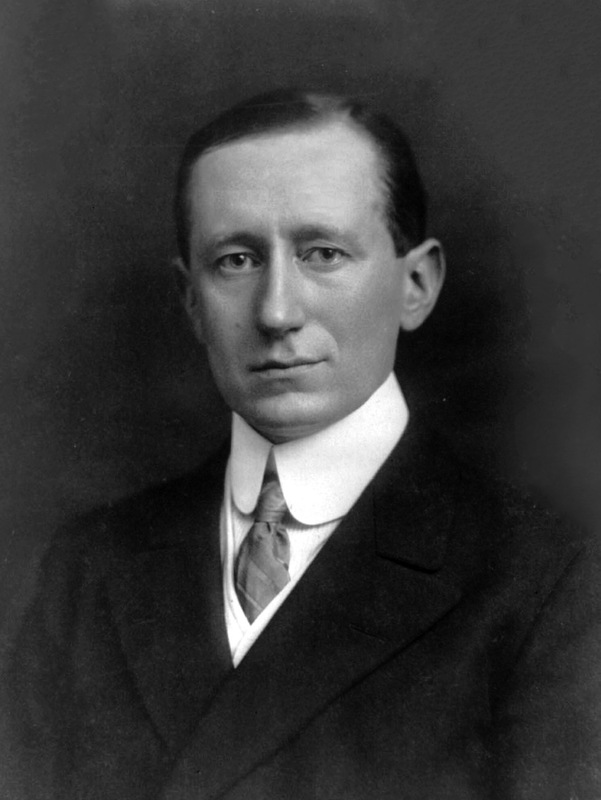 Portrait of Guglielmo Marconi from 1908. Source: Wikimedia Commons. By now, it was clear that the German model of state investment in research could win wars more decisively than uncoordinated private industry, laissez-faire invention, and British heroism. Stung into action by German innovations in poison gas warfare and devastatingly effective interception of French and British telecommunications, in 1915 the UK government established its own national Department of Scientific Industrial Research (DSIR). Supported initially by the ‘Million Fund’ – approximately £45 million today – the DSIR both hired scientists for laboratory research and encouraged private industrial firms to establish co-operative industrial research associations. Unlike the Marconi Company, however, many companies did not willingly offer their services to the state. 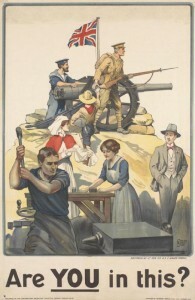 This is evident from the 1915 extension to the Defence of the Realm Act (1914): now key British industries were compelled to prioritise government and military orders. The production of armaments and industrial infrastructure was thereby raised to a level that, when combined with American input from 1917, could support a military force capable of winning the war. By then increased state support for science and industry was having a noticeable effect. For example, the aeroplane invented just over a decade previously was adapted dexterously to the purposes of aerial combat and the ‘tank’ changed the nature of battle when first introduced in France in 1916. Soon after the so-called ‘Great War’ was concluded in November 1918, a Royal Commission on Awards to Inventors rewarded hundreds such wartime innovations. It eventually handed out £1.5 million (about £75 million today) in a Britain nearly bankrupted by the cost of conflict. The distribution indicates just how much the British establishment acknowledged national inventiveness, crediting tanks and aeroplanes as crucial to the recent victory. The Commission rejected claims about other inventions it deemed to lack genuine novelty or life-saving significance. Telecommunications had been of great importance during wartime, especially when threatened by interception. The catastrophic interception of British and French forward communication by Germans early in the war resulted in the development and widespread deployment of an interception-proof alternative. This was the so-called Fullerphone, invented and patented by a serving military officer Captain Algernon Clement Fuller in 1916. When Fuller took his device to the Commission soon after the war ended, however he was offered much less than he requested: not only did his device rely heavily on the work of others, his patent rights would reap him further international rewards. Fuller perhaps took comfort from his post-war promotion eventually reaching the rank of Major-General. 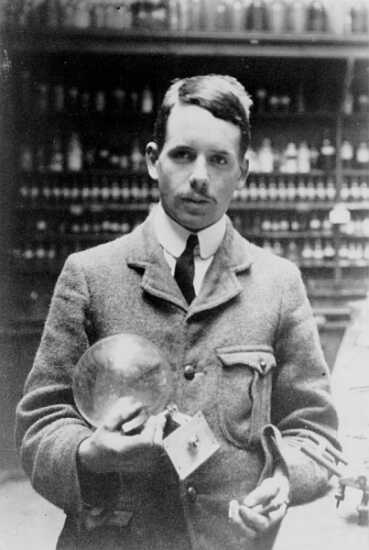 A young Henry Moseley, taken in the Balliol-Trinity Laboratory, Oxford, c.1910. Source: Wikimedia Commons. Despite this, the Marconi Company entered into an extraordinary post-war dispute with the British government, demanding large rewards for its wartime contributions. Marconi’s lawyers actually accused the government of infringing the Company’s wireless patents: exploiting its intellectual property without due payment. So difficult did the discussions become on the six-figure royalty claims that the matter was devolved to a private adjudication. Although the final amount paid was never publicized, the Marconi Company was soon able to buy up telegraph companies to fulfil its long-held ambition to become a telecommunications giant – later known as Cable and Wireless. So how then shall we commemorate Fuller and Marconi and indeed their industrial production teams for their wartime innovations? Were they like Moseley nobly donating their all to the cause, seeking only recompense to endure the hardships of war? Or to rephrase Clausewitz’s old dictum, was warfare for them just profit by other means…? This article was first published on Monday 28 October as a guest post on the Guardian’s H-Word blog and is in advance of a free public lecture on Patriotism and Profit during World War One we are giving at the Science Museum, London on Saturday 2 November. Elizabeth Bruton is the postdoctoral researcher and Graeme Gooday the principal investigator for Innovating in Combat: Telecommunications and intellectual property in the First World War, an AHRC-funded project at the University of Leeds and Museum of the History of Science, Oxford. This entry was posted in Telegraph, Telephone, Wireless Telegraph and tagged cable telegraphy, Fullerphone, Marconi, public events on 29 October 2013 by Elizabeth Bruton.